Office Space - Morpeth, Northumberland. 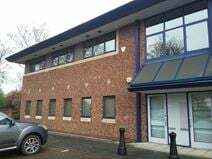 One mile from both Morpeth Town Centre and the train station this modern self-contained office suite is set in attractive landscaped surroundings fronting the A197 on a development that comprises 16 offices in two pavilions, each of two storeys. To obtain further information for multiple offices, please tick the 'Multiple Selection' box for each office of interest and complete the following form. Once you have registered you will be able to view the full details for each of the selected offices. To find your ideal office, our flexible office broking team undertake extensive searches with a network of trusted office operators (inc. landlords and commercial property agents) with whom we share your enquiry information to secure the ideal space. A Target Office broker or relevant office operator will be in touch by email and/or telephone to discuss the best options for you.